Cook pasta as package directs, rinse, drain and set aside. Place the water and kombu in a sauce pan, cover and simmer 5 minutes. Remove kombu and set aside for later use or discard. Reduce flame to low, add the mirin, wasabi powder and shoyu. Place the soba in the broth to heat up. 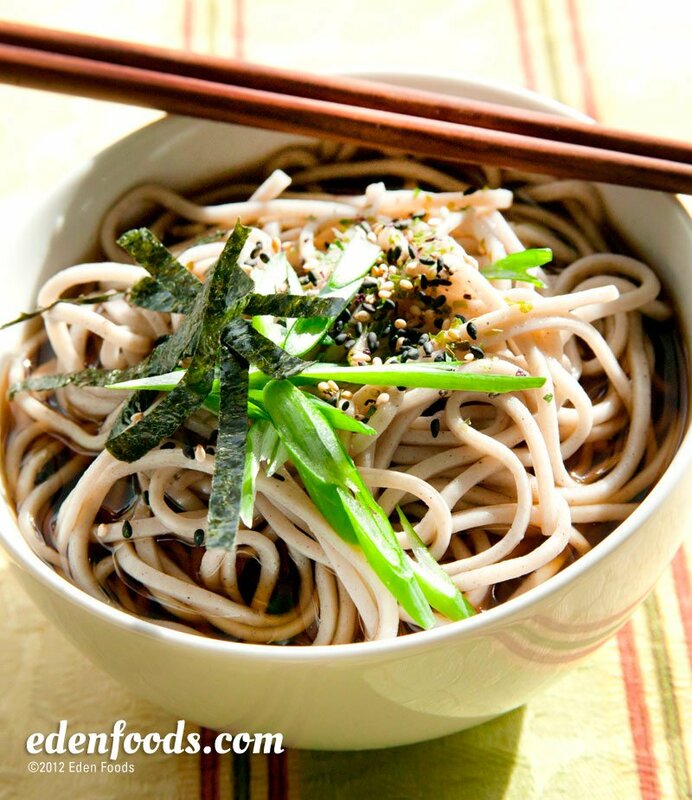 Place soba in serving bowls and ladle the broth over. Garnish each bowl with equal amounts of Eden Shake, Nori, and green onion.